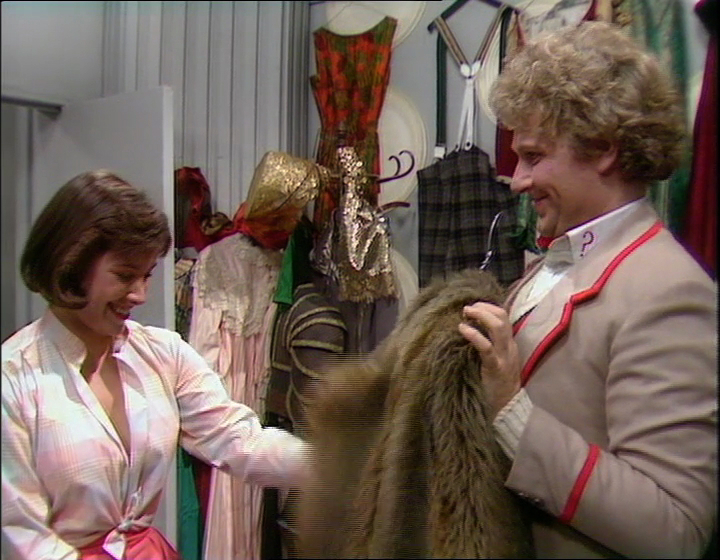 This week I’ve been taking a little look at an area of The Doctor’s costume that sometimes gets overlooked: The Costume Transition Scene! I’m taking about that moment in the first episode of a new Doctor where the old skin is finally shaken off and a re-designed costume helps define the start of a new era in Doctor Who history. Although we don’t see the dressing-up room, the Fourth Doctor keep popping out of the TARDIS dressed in unsuitable costumes; the Fifth Doctor finds his new clothes in the TARDIS, almost as if he was supposed to; the Sixth Doctor is the first to be seen in the dressing-up room to choose his new clothes; followed by the Seventh Doctor who goes through a similar selection; finally the Tenth Doctor makes his choice from a re-imagined dressing-up room, courtesy of The Mill’s special effects gurus! 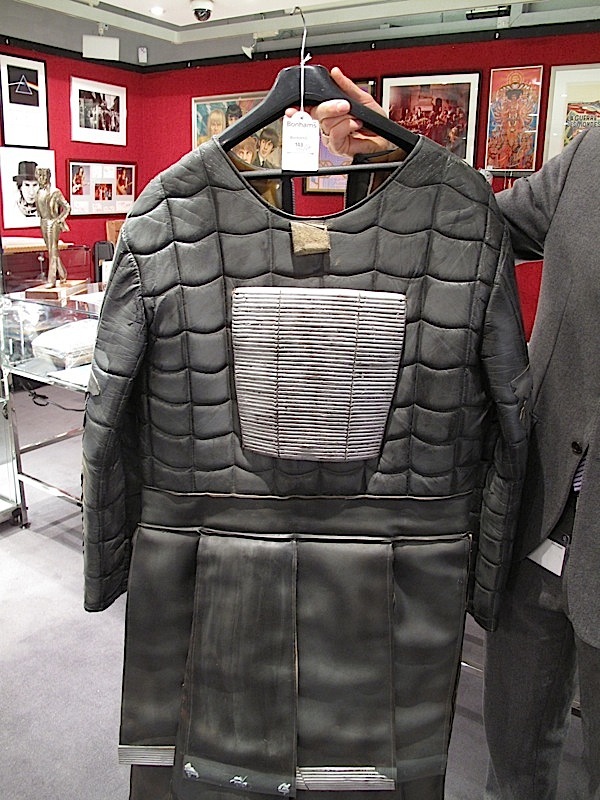 The Bonhams Entertainment Memorabilia Sale was last week, and the scant three Doctor Who items all sold. 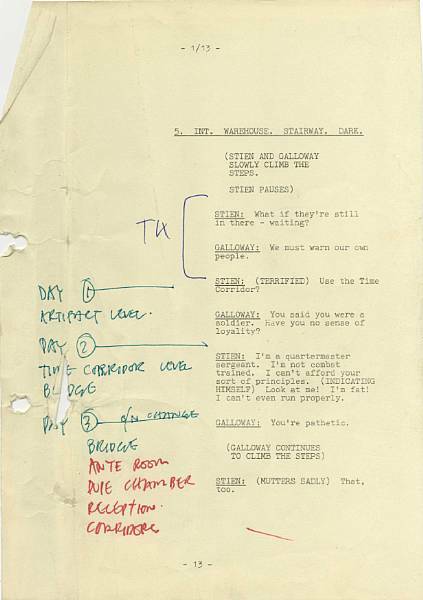 The solitary Jon Pertwee item went for pretty much on the money, selling for £3,240 having an estimate of £3,000 to £4,000. I went along to the viewing to see for myself what it was all about and check it over. 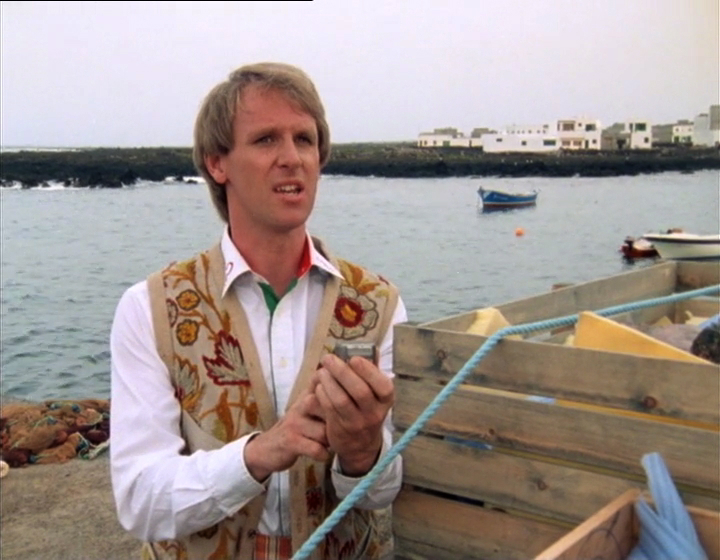 The two other Peter Davison related items also sold, again right on their estimates. First was the Script from Ressuraction Of The Daleks, which contained a extensive amount of camera postion notes (see left) as well as general comments and notations. This sold for £240, having an estimate of £200 to £300. 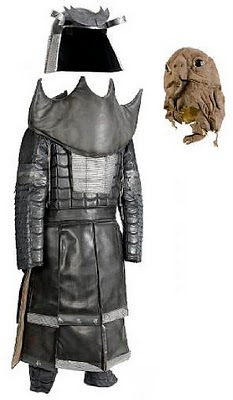 The other item, a near complete Sea Devil costume from Warriors Of The Deep, was a mixed bag. The helmet and tunic are still in pretty good nick, but the rubber mask was very perished and looked like it was about to fall apart. 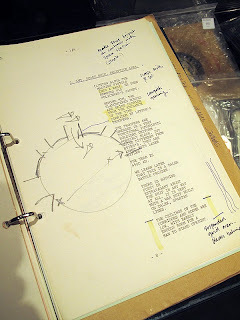 This is typical of items such as this, since they are only really made for appearance on that week’s episode and not expected to last any longer. 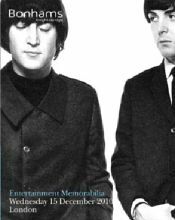 This sold for £2,280, almost double its estimate of £800 to £1,200. 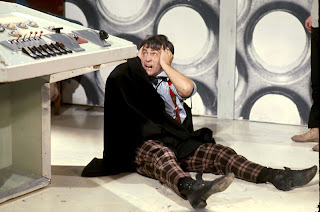 I can’t believe a year has flown by since I last wished everyone a Happy Christmas. Looking back though, a lot has happened and I’ve completed or started a number of amazing projects. 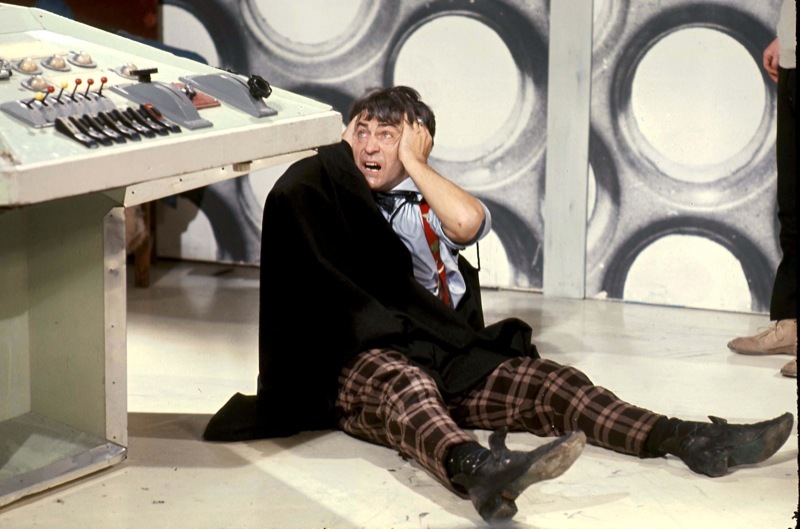 From updating my Tennant Coat; making a Five Coat or two; starting a replica Tennant suit jacket using original GAP Trousers; making a couple of Inverness Capes (must get round to writing that up! ); as well as some smaller item such as Five Hatbands, Six Cravats and Seven Hankies. However, I think the most exciting has been starting work on a replica Six Frock Coat, which I am so looking forward to getting done next year. I hope you’ll join me in the following months as it starts to come together. So far I have made the front panels of the waistcoat (see right); now I need to concentrate on the back and then bringing everything together. 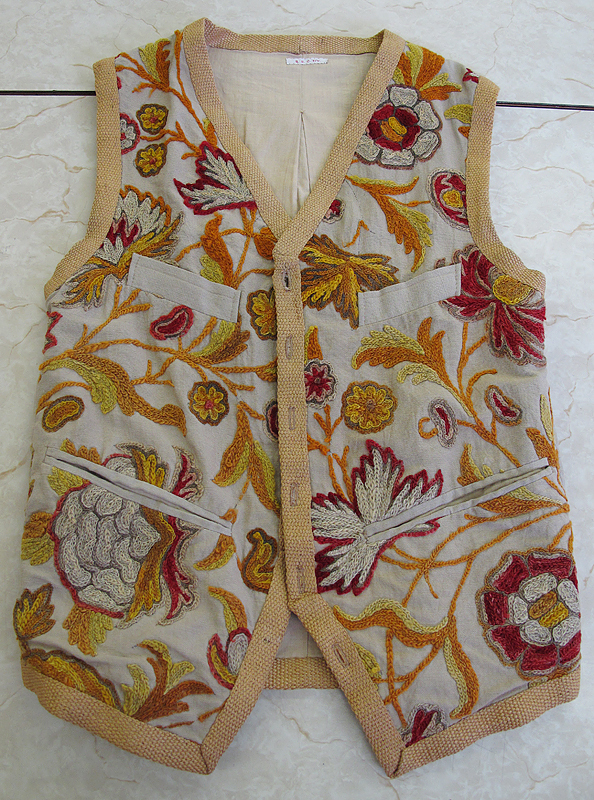 The back is made from a linen fabric lined with cotton. For the purposes of my test garment I am using washed calico for the outside, lined with a cheap cotton to give me a feel for the contrast between the two in the finished thing. The centre of the back is remarkably similar to that of a Tennant Coat, and it’s construction is near identical. 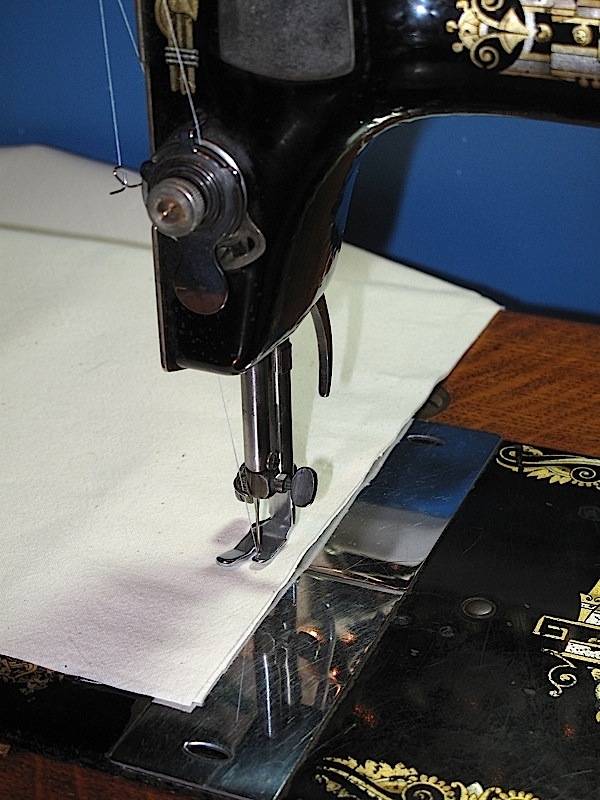 The two halves of the back are sewn together (see left) and the seam allowance pressed flat (see below, left); it is then folded in halve along the seam, and two vertical lines of stitch, one above and below the vent, are sewn to form the visible back centre seam; this is then pressed flat, create the capacity vent (see below, right). 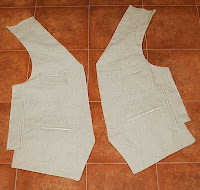 So far I have Pattern Traced and Cut the design of the waistcoat. I will now make a calico test garment to a high standard of finish, so I can troubleshoot any issue I might have in making the real thing. The waistcoat is literally, a garment of two halves with the multi-pocketed tapestry fronts; and the tailored & pleated back. 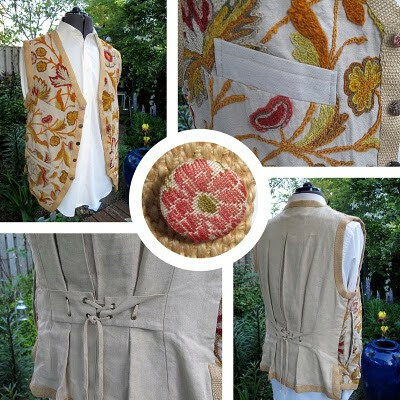 Today I am going to tackle the fronts, with their six pockets. The tapestry fabric is quite a loose-weave and the hand-stitched flowers are raised and quite bulky. I’ve decided to stabilise the edges I am overlocking them, so I allowed a bit extra on the seam allowance when cutting. I now need to set the pockets - something I am not looking forward to. So before steaming in and messing things up, I quickly did a little test welt to see how difficult the fabric can be to handle (see left). To my surprise it want too bad, partly due I think to my experience in setting welts, so I was able to concentrate on the fabric rather than the sewing as that is now second nature. I’ve worked on a nice little project this week, taking it from nothing to a finished (abet test) garment in only six days! 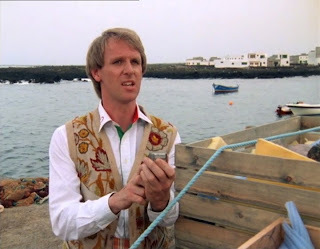 Back in May I went to the Cameo Auction and acquired the original tapestry waistcoat worn by Peter Davison in Planet Of Fire (see left). 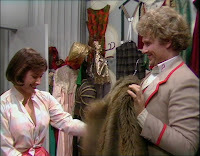 It is my first piece of screen used proper costume I have bought, though it is only worn briefly in a couple of episodes. That said it is very distinctive and quite striking (see below). 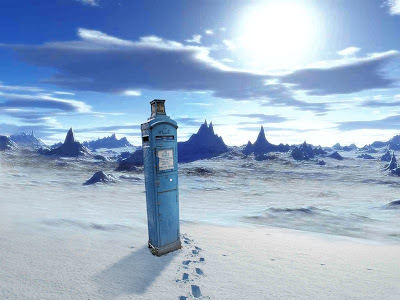 Bonhams December Film and Entertainment Memorabilia sale is upon us soon, and again there are a few Doctor Who items on offer - and a few is all it is! 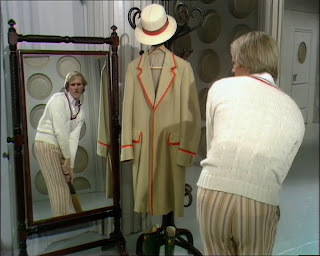 There are only three items, one of which, a jacket worn by Jon Pertwee, wasn't even screen used. It feels like the left overs from a car boot sale - very disappointing. Anyway, there are two Fifth Doctor related items, listed below.